Approx 41cm or 16 inch square 100% cotton cushion cover in turquoise blue. Select the font style you prefer. Enter a name or initials to be personalised. Select the font style you prefer. Enter a name or initials to be personalised. Choose the text thread colour for the initials. 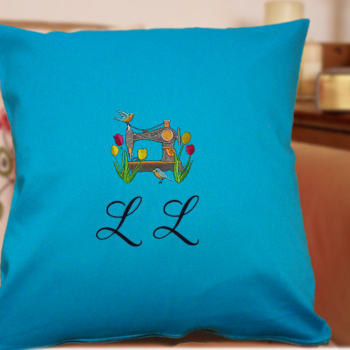 This personalised cushion is a wonderful keepsake gift for Easter, anniversarys, birthdays, or simply a housewarming gift!